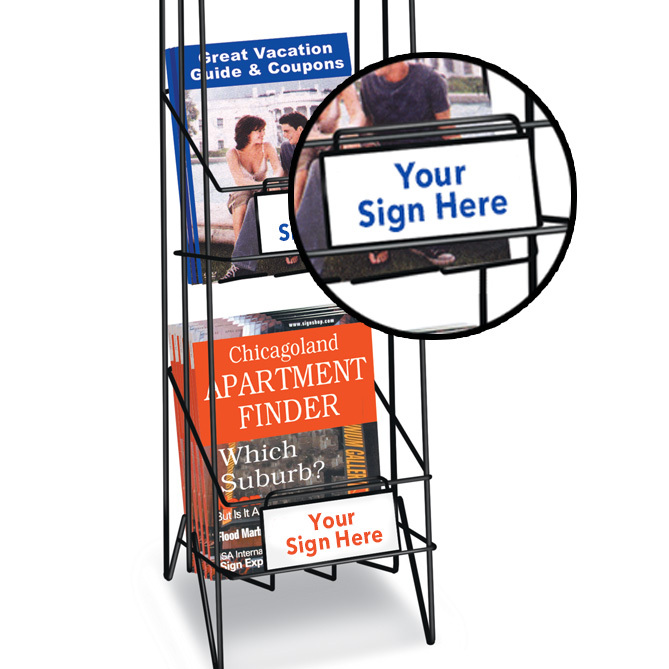 Direct your customers with a custom sign. Pack of 3 custom signs, simply peel back and stick it to each sign plate holder. Great for special pricing, store branding, sales or other information that might be helpful to your customers and your business. 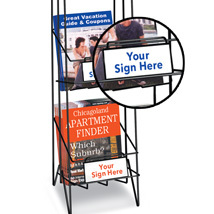 Shown here with our #2056 3-Pocket Magazine Display Rack. This pack consist of 3 same custom signs, check out item #2056S3 if you prefer to have different messages on each sign.